Mönchengladbach - Borussia Mönchengladbach’s fifth Bundesliga win in succession on Matchday 14 against SC Freiburg established them as the fourth power in this season’s race for Europe. On Saturday, FC Schalke 04 arrive at the hitherto unbreachable Borussia Park and ahead of the clash of European contenders, bundesliga.com spoke with Gladbach’s in-form attacker Patrick Herrmann. bundesliga.com: Patrick Herrmann, Gladbach's winning runs goes on, although, after several outstanding performances, it was a more laborious display against SC Freiburg that saw the team win 1-0 and make it five in a row. 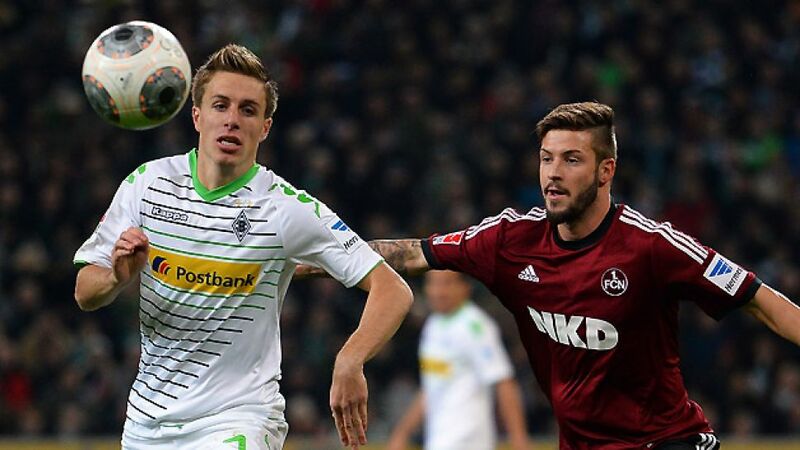 Do you feel Gladbach showed different qualities in grinding out a 'ugly' 1-0 win? Patrick Herrmann: Yes, but I wouldn’t necessarily call it a 'ugly' win, it was more through hard work. A win like that still brings as many points as a 4-0. Three points are what count at the end of the day, and Freiburg defended deep. It was difficult to find the gaps and in game like that, when you only get two or three chances, you have to take one. We did that, and thankfully we won. bundesliga.com: What do you make of the new club record of having won the first seven home games in a row? Herrmann: It’s quite a statement. I’ve never done anything like this really, which makes it all the more satisfying. It certainly doesn’t allow us to take our foot off the gas, though. bundesliga.com: Gladbach have lifted themselves into the European places and have a nine-point advantage over seventh-place. Your position is comfortable though, wouldn’t you say? Herrmann: Yes, it’s certainly quite good at the moment. We could do with picking some more points in the run-up to the winter break, though. bundesliga.com: You’ve got home games against your direct competitors for fourth place when Schalke and VfL Wolfsburg come to the Borussia Park, while you also travel to 1. FSV Mainz 05. What can Borussia do in the final three games of 2013? Herrmann: I’m not going to give a prediction, but I will say we want to pick up three points in every game we play and keep up our good work. bundesliga.com: What has made you such a formidable opponent this season? Herrmann: We’re defending really well as a unit, which we weren’t doing so well in some of those tough away games against FC Bayern München, Bayer 04 Leverkusen and even 1899 Hoffenheim. That’s made us better and our style of play is starting to function well, too. Going forward, we’re creating chances and scoring goals. When we do that, we're a match for any team. bundesliga.com: You’ve now been in the top four for a good few weeks. Would you class yourself as the fourth power in the Bundesliga or is the target to break into the top three? Herrmann: The top three teams are still a bit far away, and behind us it’s all still very open. There are plenty of points to play for. bundesliga.com: How much fun are you having as a group? Herrmann: Things are always more pleasant when you’re picking up wins, and especially when you’re doing it while playing football as well as we are. It has a nice knock-on effect. bundesliga.com: How would you assess Borussia’s chances of qualifying for Europe come the end of the season? Herrmann: It’s going well at the moment, but everybody knows how quickly football can change. One week you can climb the table and the next you could drop a few places. It’s hard to say where we’ll be after 34 games. Obviously, we’ll be over the moon if our performances are enough to get us into Europe, but there’s still a long way to go. bundesliga.com: Would you say you're in good form personally at the moment? Herrmann: At first, I things weren't quite working for me, but now they're looking up. I’ve assisted a few and scored a few recently. bundesliga.com: This Saturday, it’s Schalke, a point behind you, who come calling - and since promotion you’ve won four of five home games against them. Victory would take you seven points clear of the Royal Blues; what do you expect from the match itself? Herrmann: We’re playing at home and it’d be fantastic to extend our winning run there. But we know that Schalke are a very strong side and we’ll have to work hard. Rest assured, though, we’ll be giving it everything.